STARKVILLE, Miss. – The numbers in the postgame box score show that top-seeded Mississippi State was dominant in just about every facet during its 95-50 victory over Nicholls in the opening round of the NCAA Tournament on Saturday night. Bulldogs coach Vic Schaefer isn’t buying it. He knows tougher games are coming quickly. Mississippi State didn’t need to be perfect on Saturday because of its massive size and talent advantage. Victoria Vivians scored 20 points and grabbed 13 rebounds while Teaira McCowan scored 18 and had 13 rebounds. Blair Schaefer added another 18 points. 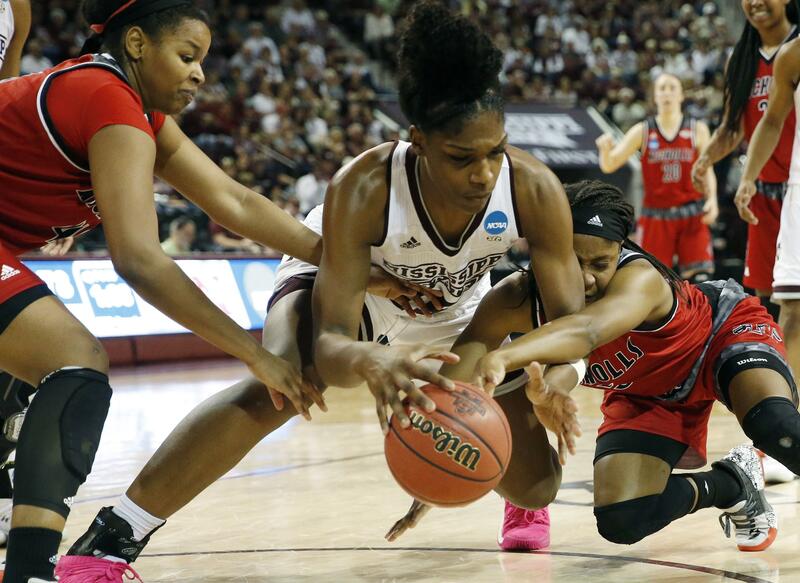 But Blair Schaefer agreed with her dad that the Bulldogs weren’t completely focused. Even though it wasn’t perfect, the Bulldogs bounced back from their only loss of the season, a 62-51 setback to South Carolina in the Southeastern Conference tournament final. Mississippi State won a program-record 32 straight games to open the season. Blair Schaefer’s 18 points against Nicholls were a welcome sign after she struggled in the South Carolina loss, scoring no points and missing all five of her 3-point attempts. Published: March 17, 2018, 6:39 p.m.